It’s Queen for the Day time over at Splitcoast today. I’m honoring Liz with a gingerbread style card similar to one in her gallery. 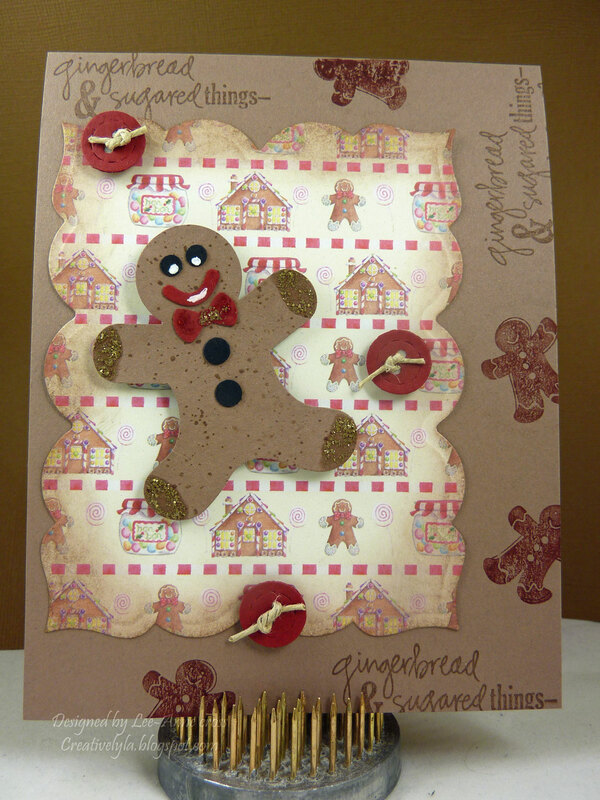 The card base is a standard A2 and has been stamped around with edges with some words and little gingerbread men. Next is a piece of designer paper cut with a die and sponged around the edges. The little buttons are die cut and I tied some hemp twine through the holes and popped them up on dimensionals. The little gingerbread man is a punch…cute huh? I stamped him with a background stamp, added some Stickles to his hands and feet as well as his bow tie. A white gel pen was used for the eyes and mouth.